The Glow on Rainbow Bridge ©2017 James D. Peterson. 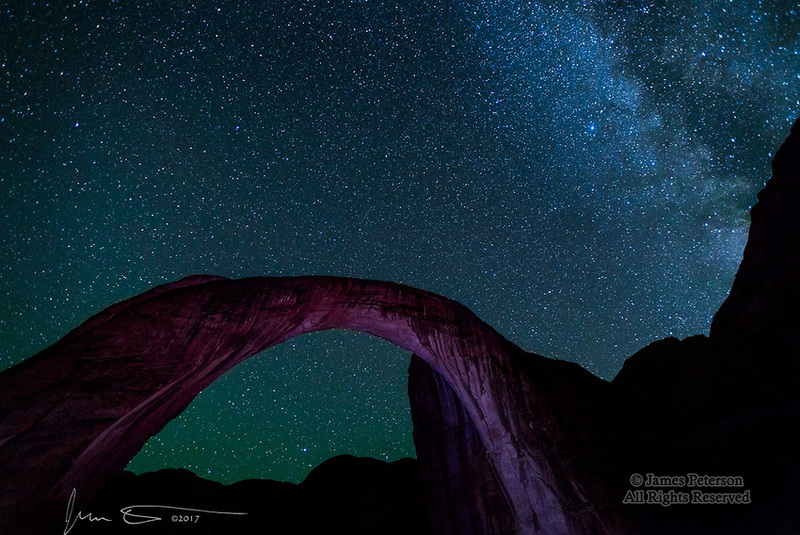 My last image of Rainbow Bridge showed it nicely silhouetted against the stars, with the Milky Way above it in the southern sky. But we also captured this version of the scene, with the bridge light painted in expert fashion (even though he had never done it before) by my buddy Chris. To my eye, this creates a more three dimensional representation of the bridge in relation to the canyon walls behind it. But in any case, the best part by far of this experience was just being there at this glorious time.